HADAYA seeks to partner with committed individuals already working with, or in contact with, displaced children in various parts of the globe. We believe in the power of creative collaboration and are therefore seeking a network of ambassadors interested in working with us to spread joy (in the form of developmental toys, art supplies and books) to kids with inadequate access to education. Qualities of an Ambassador: experience with children or teaching, excellent communication and social media skills, intrepid and savvy traveler, tenacious and goal oriented with a strong commitment to making the lives of children better. If you know of a community of children that would benefit from HADAYA’s involvement and/or think you would like to become an Ambassador, please send us a letter explaining why and what you're passionate about: hadayatoys@gmail.com. Anola is originally from Syria therefore our mission is dear to her heart. She works independently with another local Foundation in Syria to assist and support orphaned children, so we are extremely grateful for her energy and contributions to HADAYA. In December 2015, Anola traveled to southern Turkey, as our key liaison and Hadaya Ambassador, for a distribution to the Beiti orphanage in Hatay, southern Turkey. See her story here. Since November 2015, Kristian has been working in a remote village in the Gorkha province of Nepal - which also hosted the epicenter of last year's 7.8 magnitude earthquake, killing almost 10,000 people, displacing more than three million others, and destroying hundreds of thousands of homes. He is helping to build a school for primary age children that is designed to remain standing the next time there is another earthquake of that magnitude. Kristian is a past student of Jennifer's, from Christ School, and recently contacted her with a plea for help: desperately needed supplies of blankets, medicine, and other supplies for thousands of displaced people, many of whom are children, in Nepal. As our ambassador in Kathmandu, Kristian purchased a library (on behalf of Hadaya) of over 300 books which he will be airlifting to the remote village school. The books, which will serve over 700 children, only take up half the allotted weight for the helicopter... the remainder will be filled with much needed medicine for the winter. Go Kristian! David is a former college professor now crafting a second career around collaboration and managing small scale community development projects in various global settings. To facilitate this endeavor his foundation, Global Projects 321, has sponsored and implemented community activities in Peru, Dominican Republic and India over the last four years. He is compassionate for the challenges of the refugee population and is excited to collaborate with HADAYA in their projects in the Middle East and elsewhere. Bobby King is a former Executive Director of Refugee Family Services in Clarkston, Georgia. The organization focused on providing: social services, employment opportunities, health education, women’s services, and youth services to refugees living in the metropolitan Atlanta area. He also worked with Georgia Piedmont Technical College where he served as an English as a Second Language (ESL) instructor and director of Workplace Education programs. He also developed a career development program for refugees and immigrants. 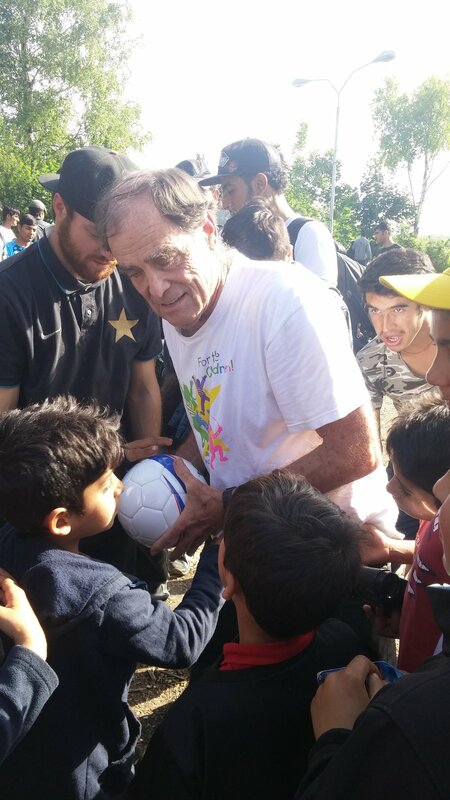 Since his retirement in 2008, Bobby has worked as a fulltime volunteer, primarily with the refugee resettlement organization, IRC (The International Rescue Committee). Since moving to Brevard in early 2016, he has volunteered with WNCRC (Western North Carolina Refugee Challenge), an advocacy group and for a western North Carolina sanctuary initiative for immigrants. 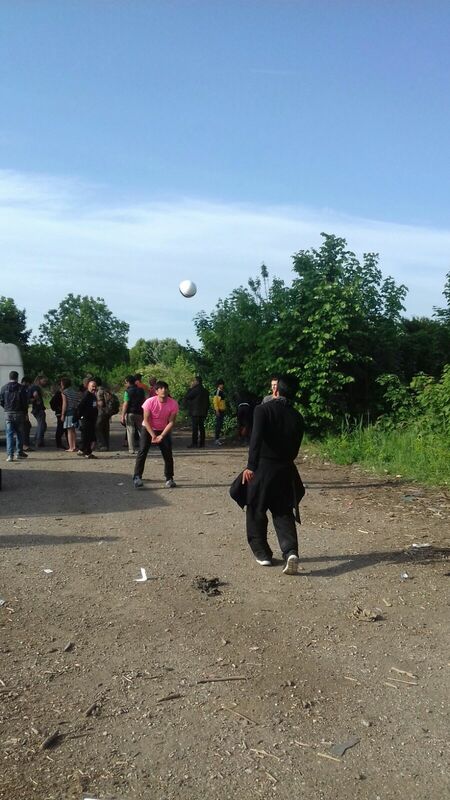 In November 2016, Bobby volunteered with refugee relief efforts in the Calais-Dunkirk region of northern France and in May 2017, he visited refugee camps in Greece and Serbia, as an Ambassador for HADAYA, distributing soccer balls and toys to the chuildren. Before settling in Asheville in 2013, Jill spent over 20 years working internationally--developing and directing language programs, training English teachers, and teaching in Egypt, Turkey, Kuwait and Japan. During that time, she worked at the US Department of State English Language Fellows Program, AMIDEAST, International University of Japan, and the American University in Cairo. After returning from the Middle East, Jill worked at The University of Oregon as Director of Sponsored Programs, and she currently serves as the Director of the Intensive English Program at Western Carolina University. Jill has a graduate degree in Applied Linguistics and speaks and reads, at an intermediate level, French, Turkish and Arabic. She co-authored an English language textbook for women in Lebanon and was a founding member of the Consortium for Women Leaders in Public Service, a US/Peruvian non-profit organization that provides leadership training and mentoring to women and girls in North and South America. Jill is resolute in her advocacy for refugee resettlement. In April 2017, she served as a Hadaya Global Ambassador and delivered toys to children in Turkey to two groups: Small Projects Istanbul and to YUVA Foundation in a town near the Syrian border.